The key to an effective marketing campaign is reaching your targeted audience effectively. This is true with all marketing strategies from radio to tv to print and email marketing. 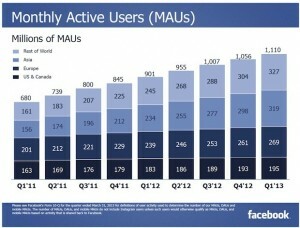 Facebook is a hot trend with the option of online marketing. In the last few years it has progressed from every business needs a Facebook page to now managing your marketing campaigns through Facebook. Facebook started in a few key college campuses to now having 1.1 billion users worldwide according to Facebook. Depending on your business model, Social Media marketing could be a valuable tool when it comes to attracting new customers. Goldmine Dezine has the experience and skill sets to utilize this trend to your advantage to expand your market share.